This thread is about this famous game! 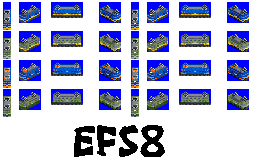 Show your transport groups, your railway creations, custom maps, etc. Yay, it's a good idea. Although I don't count myself as a keen manager, I've got a Carpatian Basin scenario based on actual SRTM height models (thank lord I've also studied remote sensing... ) and is actually half-done, with current area of Hungary and close-border cities to neighboring countries. Pictures soon! Sounds great Herbal. Send here a link, when it will be ready and post some pics. Btw. My best career is American Airlines a.s. I started here in 2010 and now is 2051 and I have company value 11,827,249,992Czk that is £288,469,512 that is 109,041,475,536 Ft. I have 8 trains, 353 road vehicles and 135 aircraft. In Company league table I am 'tycoon' and in detailed performance rating I have 1000/1000 points. I like short, simple signatures! I have to admit I haven't played TTDX or OTTD in a long while, mostly because there are enough of newer manager games to be played. I think I have racked the most hours into Cities in Motion. But then there's stuff like Traffic Manager where I've dug into. @bduddy: So is Simutrans actually good, solid game these days? I remember having played it ages ago and back then it just felt so shallow, buggy and... Well kinda bad honestly, that I reverted back to other manager games immediately. Check out my music at Youtube! And don't forget my homepage Here! Has been a staple ever since I got an original copy of TT/TTD back in 1997, 10 pounds each or therebouts. Best 20 quid ever spent, I'm still playing them (now in Open form obviously). Nice to see, and that this thread is running up. I'm playing original ttd too (sometimes). Or anyone played locomotion? I gave Simutrans a go. It has definitely gotten better from since I last played it (Propably almost 10 years ago...). They have learned that Transport Tycoon Deluxe is the one to copy, which is just a good thing. But now the problem is, they have too much going on. While the choises in TTDX when building a road are "build left-right" or "build up-down", Simutrans has 5 different speeds for the roads, two types of those speed roads (one with and one without a power cable) Then there's, what, 6 different bus stops, 3 parking lots, and the total amount of buttons on that list is about 30. And I know, some of these would be hidden when playing with the timeline, but still the menu system and building stuff is just so awkward in it. Then all of the important information is hidden under buttons and tabs. The "too much going on" also happens on the maps, with everything being covered with too many trees. The gameplay was nice, everything works as intended, but sometimes too much is just too much. I'll have to give it a bit of a longer go to see if it gets bearable and enjoyable once I get used to it. Yep, I gave it a new go today. With the timeline put on and trees removed the game got notably nicer to get into. The menus are still awkward to me, but's propably also because I'm so used to the way they are organized in OTTD. One thing I like specifically in this is that the resources have to be sent in a specific destination, not just a random place. That's what I liked even back then when playing this the first time ages ago. Simutrans can be great too, but I thing that openTTD is better . What about your map Herbal? Simtrans can be great too, but I thing that openTTD is better . What about your map Herbal? Ah sure, here you have the current state of Carpatian Basin. The scenario starts at 1930, and I've tried to be accurate in geography and with some generalization to industry too. Man, the cities grow rapidly in OTTD. I don't remember getting them this big in the original TTDX. Some of the other cities along this same railway track have over 60 000 people in them. But this 4 city complex is the funniest bunch of them. I made two looping tracks around the cities on both sides of the main monorail section to transfer them there. But now the whole system is integrated in the city complex, consisting of about 150 000 people. That's because they didn't get this big in TTD OpenTTD is so much more advanced, especially with 32bpp graphics sets, it's quite impressive. OpenTTD is so much more advanced, especially with 32bpp graphics sets, it's quite impressive. Sorry for no comment Herbal, but I cant run your map, because i'm missing some graphics. I know about this method, but i don't have internet on computer but only on my smartphone. Really good to know. And i was still playing 1.0.4-beta about half year ago. Any ideas, how to do it? Not only play but also pixel draw for some mods. BR Set features my earlier works after 8 years in forum wilderness and Japan Set looks to be including some loco repaints. Sam, we have already a thread for Open TTD (Transport Tycoon Deluxe).